Aged black metal accented with solid wood details finished in a heavily distressed rustic mahogany and a light rottenstone glaze. The round drum shade is made of natural Mica with aged black trim. 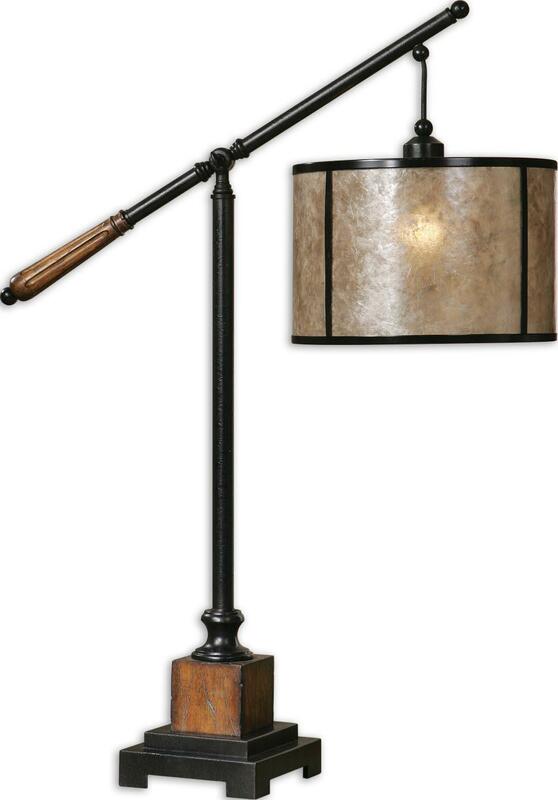 The Table Lamps Sitka by Uttermost at Dunk & Bright Furniture in the Syracuse, Utica, Binghamton area. Product availability may vary. Contact us for the most current availability on this product. 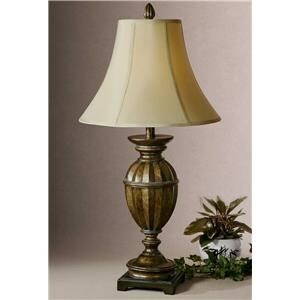 Browse other items in the Table Lamps collection from Dunk & Bright Furniture in the Syracuse, Utica, Binghamton area.